This Sunday, celebrities in television and film will gather together at the Beverly Hills Hotel boozing on champagne, while awarded for the best in the silver screen and the big screen of the past year. It’s hard to believe but 1998 was 20 years ago, and some of your favorite TV shows and movies were crowned as the best, such as, Titanic, Good Will Hunting, ER, and Ally McBeal, each were equally best thing since sliced bread in Hollywood. Remember the dancing baby from Ally McBeal? Woo, time files! 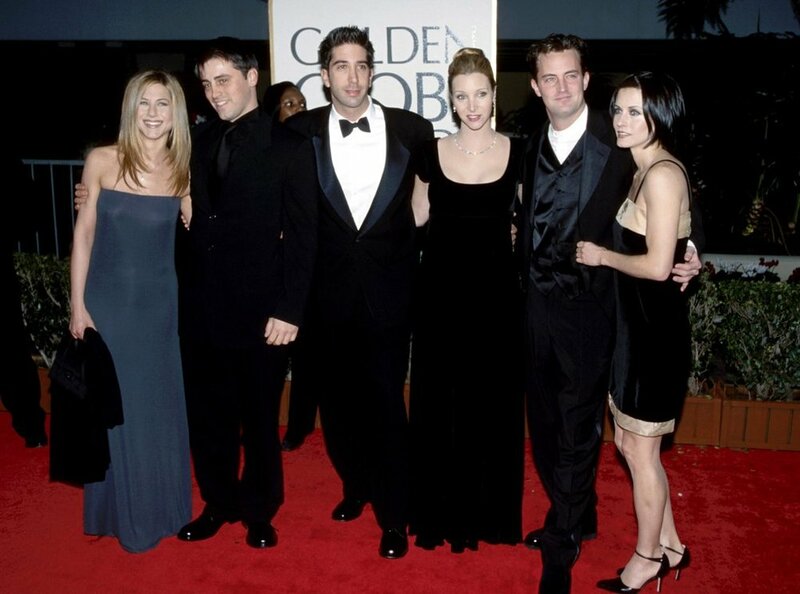 Here’s what the big stars wore to the Golden Globes in 1998. Felicity and Keri Russell's curls were a thing and so were triangle crop tops. Kevin Spacey walked the red carpet with Sheryl Crow. Before George Clooney was into human rights lawyers, he strictly dated models. There was the little show called Friends, it didn’t get that much attention and no one famous came from it. Before Camille Grammar was stirring the pot on the Real Housewives of Beverly Hills, she was simply Kelsey Grammar's wife. Madonna decided to wear what she wore in her "Frozen" music video to the award ceremony. It's Balenciaga so I don't blame her. Jennifer Lopez was on her first husband...do you remember his name? Me neither and I'm sure she doesn't either. Pre-Brad Pitt, even before Billy Bob Thornton, Angelina Jolie was just a fresh face actress making her first major red-carpet debut. A baby-faced Leonardo DiCaprio and Kate Winslet walked the red carpet together. *sigh* Our hearts will continue to go on for them.